Benefits Outsource, Inc. comprehensive 401(k) Administrative program offers a full range of services. Equipped with the technology and expertise Benefits Outsource has the ability to seamlessly takeover existing 401(k) plans and to initiate start-up plans for companies that are in market for such plans. Our non-exclusive relationship with investment companies around the country and systems flexibility, allows us to customize your service needs to mirror your objectives. A 401(k) is a type of qualified profit-sharing plan, which allows eligible employees of an employer to set aside a portion of their current taxable pay to a tax-sheltered retirement fund. The plan is funded by the contributions made by the employee and, in some cases, the employer. 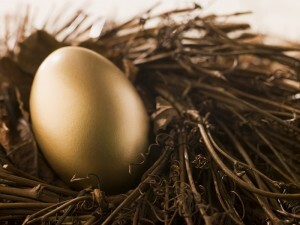 The advantages of participating in a 401(k) plan are enormous. Here are some examples. Money saved in a 401(k) Plan through payroll deductions is exempt from Federal income taxes. For example, if you earn $25,000 a year and decide to contribute $2,000 through payroll deductions, the federal income tax you pay would be calculated as if you only earned $23,000, thereby, lowering your tax liability. The money you save grows on a tax-deferred basis and you pay no taxes until you withdraw the money. In most cases, your employer matches a portion of your 401(k) contributions, thereby, increasing your retirement nest egg. For employer, a 401(k) provides an excellent tool for recruiting and retaining valuable employees. Offering a retirement plan can be one of the most challenging, yet rewarding, decisions an employer can make. The employees participating in the plan, their beneficiaries, and the employer benefit when a retirement plan is in place. Employer Responsibilities as a Plan Sponsor? An employer or business sponsoring a 401(k) plan (also known as the Plan Sponsor and/or Plan Administrator), has ongoing responsibilities for the plan’s operations. As Plan Sponsor/Administrator, you are charged with the responsibilities to establish, maintain, and operate the plan in accordance with the law and IRS rules and regulations. The safe approach to meeting the technical difficulties inherent in the applicable regulations is to engage a Third Party Administrator to handle every aspect of your plan administration. This is where BENEFITS OUTSOURCE, INC. can help. For information on how Benefits Outsource can assist you with your 401(k) needs, please click here or call (888) 877-2780.